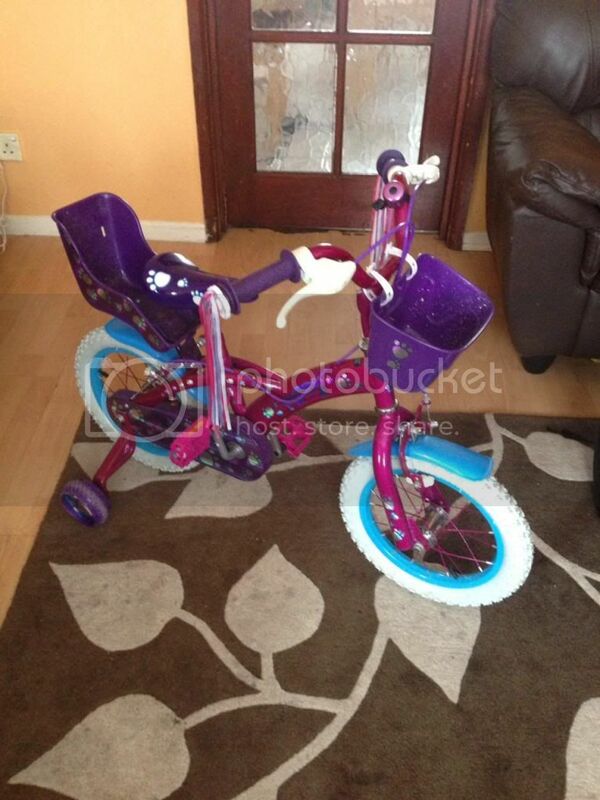 For sale is a near new 14 Inch Puppy bike from Smyths Toys. RRP £89.99 selling for less than half price. This bike has literally been up and down the road once and still has the knobbly bits on the tyres (daughter just didn't take to cycling). Buyer will not be disappointed. 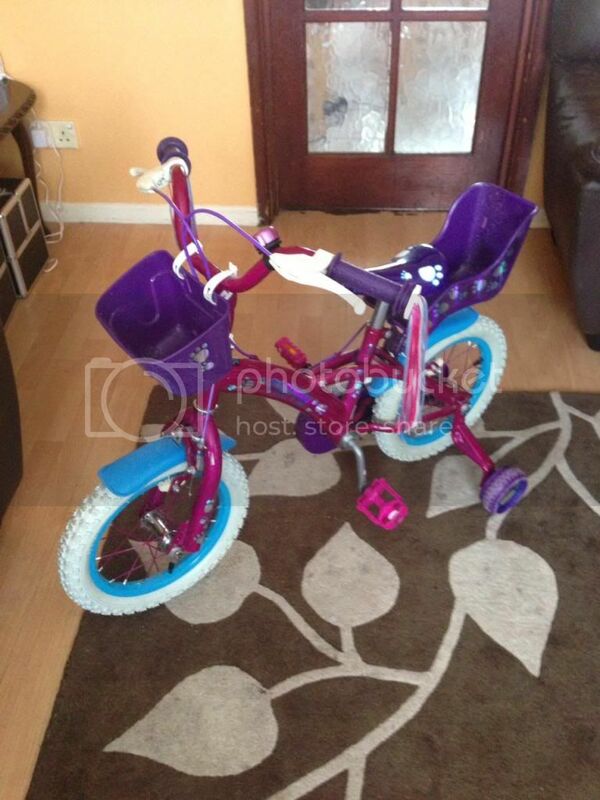 The 14 Inch Puppy bike is an ideal first bike to learn how to ride a bike. The bike can grow with your child's ability as it features removable stabilisers plus a doll carrier, a front basket and dog print patterns. 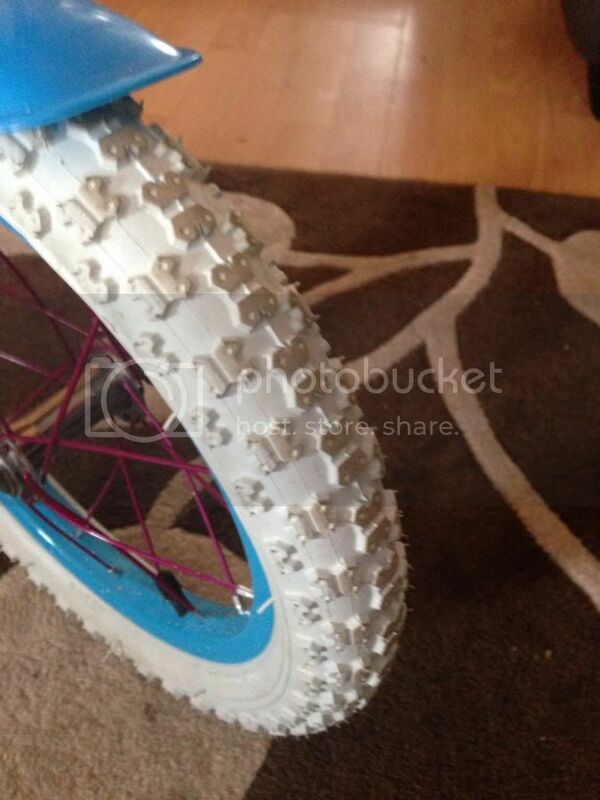 - Steel rims with pneumatic tyres. - Rear dolly carrier and handlebar tassels. - Front and rear mudguards. - Front and rear calliper brakes. - Fully enclosed chain guard to protect little fingers. - Handlebar height is adjustable. Product Dimensions: To fit inside leg 40cm - 50cm.